That 29 of July of 1974, Cass Elliot tragically died of a heart attack after two perfomances in the Palladium in London. She was a great woman and an amazing singer, when she sang transmitted her charm...like Judy Henske says:she was a big "Planet of charm" In her memory!Dedicated to Cass,this is a video from Monterey Pop Festival,where The Mamas and the Papas closed it with their hit Dancing in the Street. A memorable perfomance! Greetings to all Cass' fans! Aquel 29 de Julio de 1974,Cass Elliot murio tragicamente de un ataque al corazón después de dos actuaciones en el Palladium en Londres. 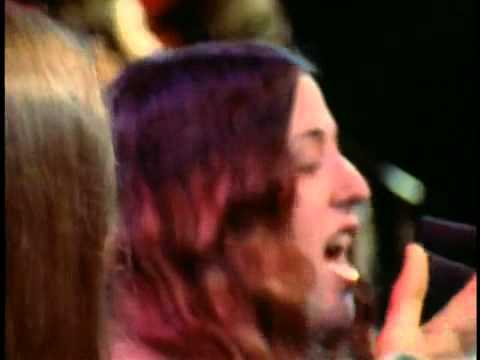 Fue una gran mujer y una cantante increíble, cuando cantaba transimitia su encantocomo Judy Henske dice: ella era un gran Planeta de encanto En su memoria!dedicado a Cass, este es un video del Festival Pop de Monterey,donde The Mamas and The Papas lo finalizo con su hit Dancing in the Street. Una actuación memorable! Saludos a todos los fans de Cass!